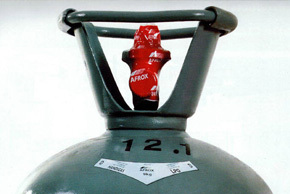 Only authorised Afrox Handigas dealers may fill Afrox owned LPG cylinders, which carry the brand name Handigas and the Afrox Red Seal of safety. If the Handigas cylinder does not have an “Afrox Red Seal” it has not been filled by Afrox and we cannot guarantee that it has been serviced. Please complete the online form to report any illegal filling of Afrox cylinders, the information will then be allocated to a sales representative to investigate the report. The information can be submitted anonymously.